Here at Fireline, we are promoting the use of our FireLINK Radio Mesh Network. This network allows wireless monitoring of fire alarms. 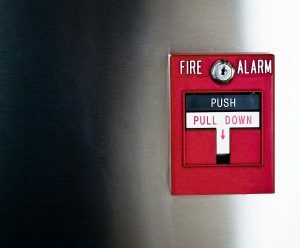 Your fire alarms are your first warning whenever a fire breaks out in your building. That’s why it’s so important to make sure they are always working properly. Here at Fireline, we are promoting the use of our FireLINK Radio Mesh Network. This network allows wireless monitoring of fire alarms. Without a radio signal, wireless monitoring wouldn’t be as effective. However, the AES radio mesh network makes sure that the signal is picked up by monitoring stations that can pass the signal along. The first alarm panel that detects the fire will send a warning to the appropriate receiver in the central monitoring station. The simplicity of this system is part of its beauty, so now let’s turn our attention to some other advantages of using this system. Overall operating costs are much lower as well. No matter what your business does, saving money is in your best interests. You can spend more time and resources on serving your customers and clients. Forced downtime due to fire and smoke damage will deprive you of that goal. Wireless monitoring of radio signals is becoming more prevalent now that telephone signal transmission is becoming increasingly outdated. As the scale of wireless monitoring grows, all of the companies who have switched to it benefit by saving more money. This entry was posted on Wednesday, July 25th, 2018 at 9:25 am. Both comments and pings are currently closed.